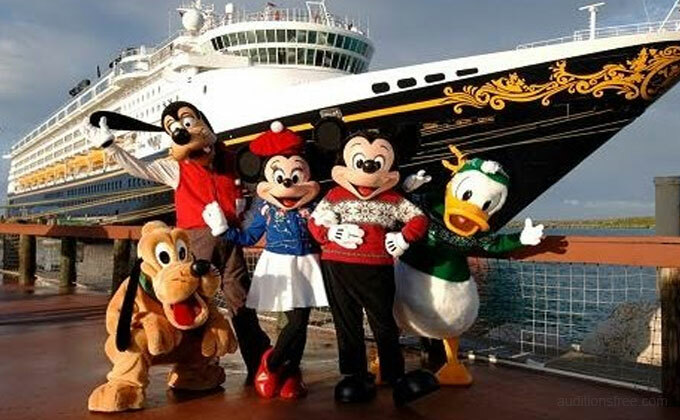 Disney Cruise Lines will be holding open auditions for dancers and character performers in Atlanta. Casting directors for Disney Entertainment will be in Atlanta this month to hold open calls. They are seeking dancers and performers to join various shows on board Disney’s cruise ships that sail all over the world. Please see the details below. Disney Parks Live Entertainment & Disney Cruise Line® is auditioning trained Dancers for the Summer European and Alaskan season onboard the Disney Magic and Disney Wonder cruise ships. MALE DANCERS WHO TUMBLE WELL/ FEMALE DANCERS WHO SING/ MALE DANCERS WHO TAP: Seeking versatile and exciting dancers. Must be trained in ballet and jazz. Some roles require strong vocal ability; others require strong tumbling passes or a great male physique. All Ethnicities. Some callback candidates will be asked to sing 16 bars of a musical theatre selection of their choice, please be prepared. TARZAN*: Male dancer, tap and jazz a plus, 5’7″-6″0″, lean & muscular build, good dancer, great smile, no fear of heights, performer will be trained on Spanish Web. Candidate must attend the Dance audition. Sign-in: 9am – 10am Late arrivals will not be able to audition. Disney Parks Live Entertainment & Disney Cruise Line® is auditioning Animated Character Performers for the Summer European and Alaskan season onboard the Disney Magic and Disney Wonder cruise ships. We hire versatile performers for entertainment production shows, events, meet & greets and staged appearances. All performers appear as fully costumed Disney Characters. Some performers also appear as Disney Character Look-alikes, and may step out into ensemble dancer roles. There are three hiring categories pending your skill set and dance ability. Mid-March 2019 will begin the nine month commitment, including rehearsal in Toronto. Contract includes competitive pay, travel, room and board, guest sailing privileges, significant contract completion bonus and some guest dining privileges. Performers must be at least 18 years of age. Be warmed up and ready to begin at time listed. Wear form fitting attire to show your silhouette, and proper dance shoes. All dancers will learn a ballet combination. Selected dancers will move on to advanced jazz.